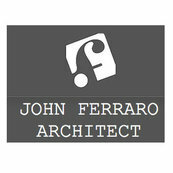 John Ferraro is a consummate professional architect, who is very experienced and personable. I am grateful for his support and I highly recommend him. John Ferraro has proven himself to be a consummate professional. He finishes projects on time and within budget.